Home MMA News Artem Lobov Threatens To Leave UFC If Zubaira Tukhugov Is Cut! Artem Lobov Threatens To Leave UFC If Zubaira Tukhugov Is Cut! The drama between Conor McGregor and Khabib Nurmagomedov team is far from over! It looks like “The Russian Hammer” is desperate for revenge! UFC threatened to release Zubaira Tukhugov from the promotion for his role in UFC 229 incident. But the situation heated up when Khabib threatened to break UFC contract if that happens! Now Artem Lobov decided to do the same thing! Warning, this is not a joke! But in the first place, Artem Lobov needs to defeat Michael Johnson, who stepped in as a replacement for “Kabob’s friend”. Johnson is a very difficult rival. He defeated Andre Fili at the co-main event of UFC Fight Night 135 via split decision. Yet, Lobov says he needs the victory over Johnson to help “Warrior” get back inside the Octagon. “I’m only doing this (against Johnson) because I was already ready to go and I haven’t fought in a year,” Lobov said. “For many reasons, I have to take this fight. But make no mistake, I want Zubaira. Khabib called Conor “a chicken” after his win over Michael Johnson at UFC 205 on November 12, 2016. Artem Lobov started trolling “The Eagle” in Russian media for pulling out of the fights. Khabib and his teammates surrounded Artem Lobov in the hotel. The current UFC Lightweight champion grabbed his throat. Lobov confessed later that Conor McGregor was the only person who supported him. Actually, Conor wanted to protect his friend at all costs. One day later, Conor McGregor launched his famous UFC 223 hooligan bus attack. Conor and his team were looking for revenge. Unfortunately, “The Eagle” has already been on the bus. Conor threw a metal dolly and broke the glass. As an epilogue, Michael Chiesa and Ray Borg had to withdraw from the event due to lacerations. Rose Namajunas still visits therapist on a regular basis. Artem Lobov was removed from UFC 223 fight card. Conor McGregor was arrested but his law team reached a plea deal later. Khabib Nurmagomedov defeated Conor McGregor at the main event of UFC 229 via fourth-round submission. As well as you remember, Khabib attacked Dillon Danis after the fight. Zubaira Tukhugov leaped over the fence and sucker punched “The Notorious”. “Warrior” even bragged on social media about his “heroic act”. That kind of disrespectful behavior obviously made Artem Lobov angry. Artem Lobov got many offers from other promotions. Yet, he feels that he needs to settle things up with Zubaira Tukhugov. Despite he remained in UFC to fight Zubaira, Khabib’s comrade is pulled out! 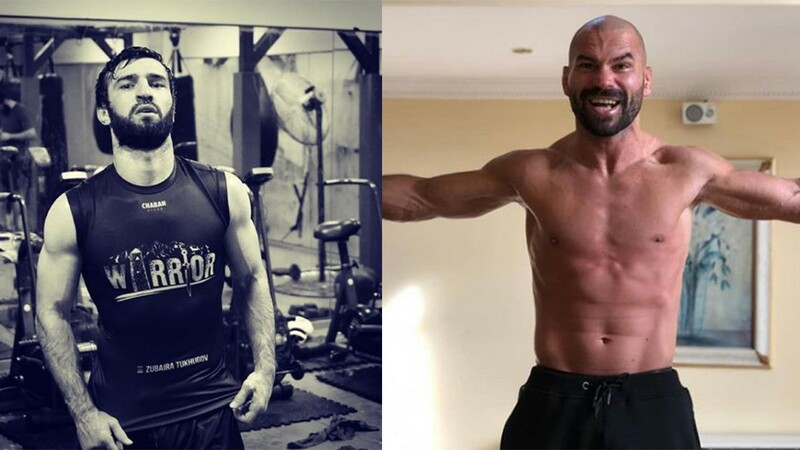 Do you think we will see the fight between Artem Lobov and Zubaira Tukhugov in the future? After all, UFC didn’t pay much attention to Khabib’s threats. Lobov is McGregor’s comrade, and Dana White is McGregor’s fan! Maybe this will at least make UFC reconsider Tukhugov’s penalty!